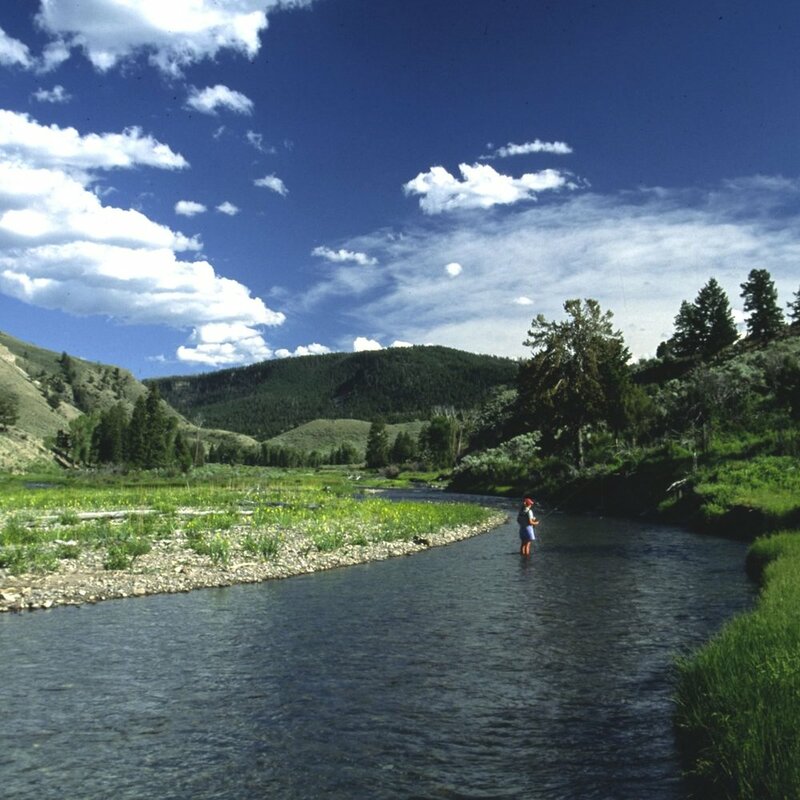 Located in the golden triangle of Montana, Wyoming, and Idaho, Firehole Ranch offers some of the greatest variety of fly fishing in the world. 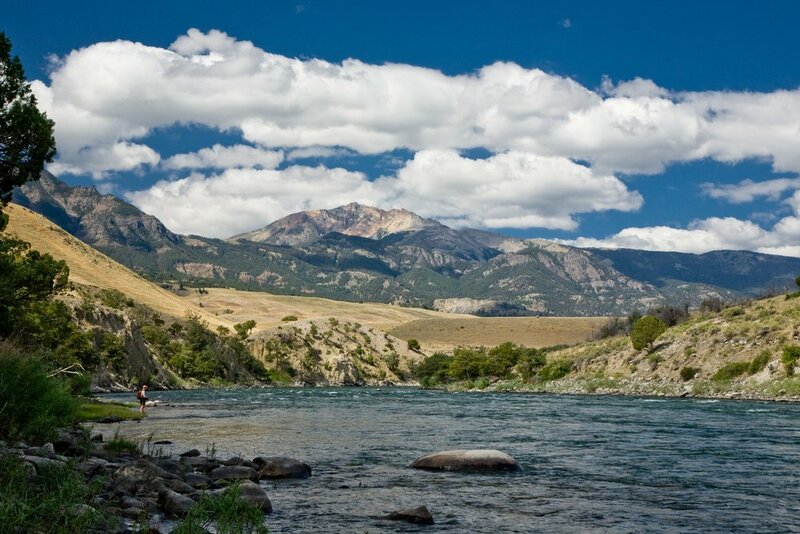 The absolutely unheard of variety and abundance of legendary trout waters surrounding the Firehole Ranch offer virtually every type of Western fly fishing experience imaginable. Here you can tempt those wily trout with wet or dry flies, nymphs, or try a tandem rig. Opportunities abound for every type of approach, walk/wading or floating. Each river, stream or creek will provide a different opportunity with each unique stretch, offering limitless possibilities for combining casting strokes with fly selections, and different approaches. Our expert guides are skilled teachers and will patiently instruct you on everything from the fundamentals of casting, to reading the water and determine what is hatching. 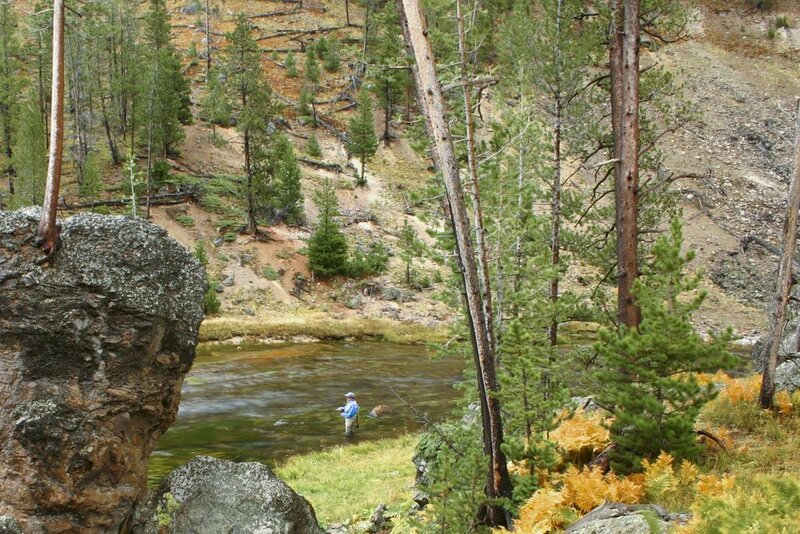 For the ultimate, intimate fly fishing adventure, escape the stresses of your modern world and come to the Firehole Ranch. A trip here is addicting and many of our loyal guests return faithfully each year, following the spring hatch for just one more chance to chase those beautiful, elusive, wild trout. Below, you will find a short list of some of the key waters available to fish while you are at the Ranch. 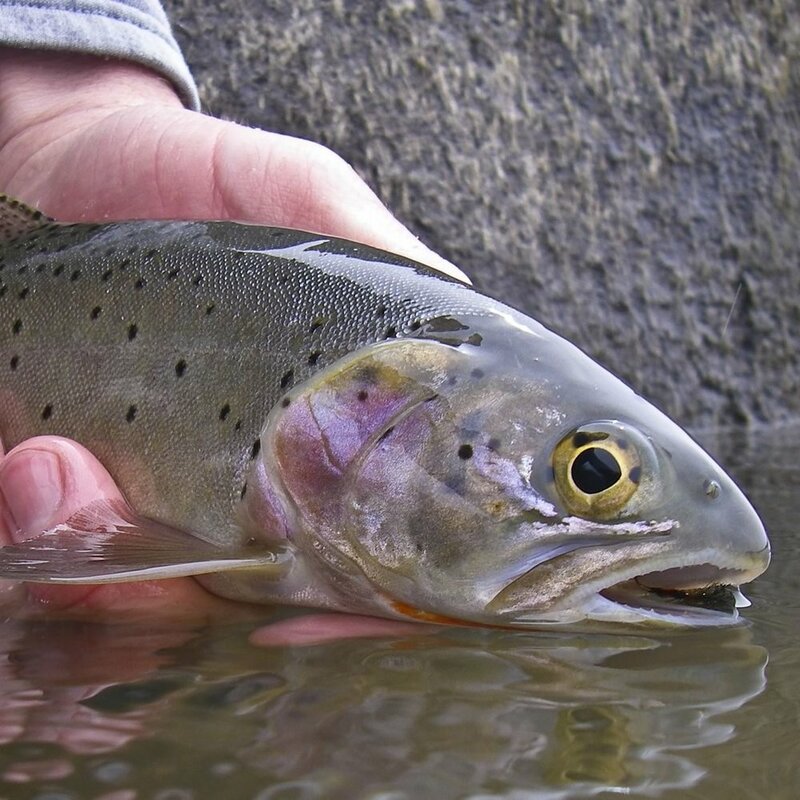 As much as possible we’ve tried to give a comprehensive overview that gives you a sense of what it is like to fish on each of these waters, including; specifics for each approach; walk/wading or floating, as well as detailed information on the seasonal hatches, and variety of trout available.